Moscow Mule is a buck or mule cocktail made with vodka, ginger beer and lime which was popular during the vodka craze in the United States during the 1950s. My first experience of a ginger beer cocktail was at a restaurant in downtown Manhattan. unfortunately the restaurant closed its doors some years back, but its memorable food holds a place close to my heart. The cocktail was made with ginger beer soda and Appleton rum. 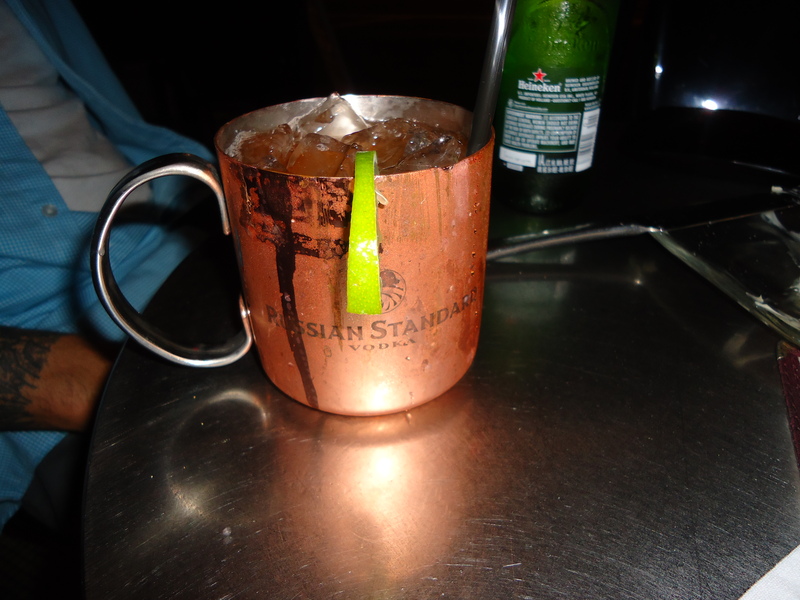 I recently enjoyed a Moscow Mule made with Russian Standard Vodka. When you are in the Flatiron District, stop by Punch Bar and order yourself a Moscow Mule. If you appreciate ginger and classic cocktails, I’m sure you will enjoy this.